Germfree Integrated Modular™ offers significant advantages over site-built construction. This highly innovative approach provides new laboratory space that is engineered for your specific technical and architectural requirements. Our Integrated Modular solutions meet or exceed the functional and structural quality of a site-built bio-containment laboratory, while significantly reducing the construction timeline. Our engineering team works with your facility managers to coordinate a final exterior building that allows uniformity with your existing architecture. 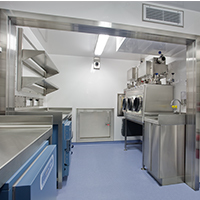 Germfree Containerized Modular lets you expand your existing laboratory operations or enhance your level of biosafety. We provide Modular Labs for facilities that need additional laboratory operations that cannot be incorporated into the existing space. 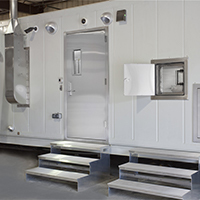 Our modular labs also play a critical role in bringing BSL-3 capabilities to geographic areas where Biosafety Level 3 operations previously have been unobtainable. Germfree is uniquely qualified to deliver BSL-3 operations wherever they are needed.uniquely qualified to deliver BSL-3 operations wherever they are needed. The most complex component of a BSL-3 Laboratory is the mechanical suite which includes the HVAC and air filtration/pressure controls. Many parts of the world do not have the mechanical trades necessary to build these complex systems. 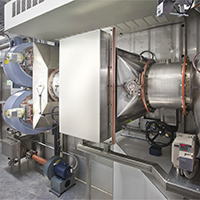 Germfree has a complete in house engineering team specializing in the unique requirements of BSL-3 Laboratories. Our engineering team follows the project from conception through installation and commissioning.